Also Known As: “Point your elbows at the target”. 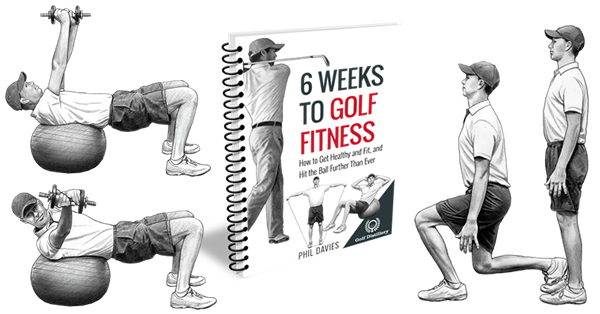 This swing thought encourages you to adopt a specific position at the end of your swing, as you become stationary at the end of the follow through. Specifically, it instructs you to position your elbows up high and pointing towards the target, straight ahead. This is in contrast to seeing them point to the ground, or to the left or right of the target. 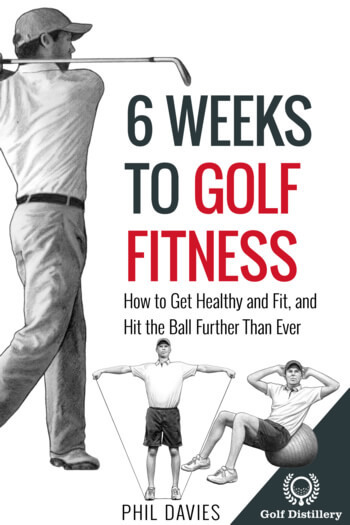 This swing key promotes a high finish at the follow through which sees your whole body standing up with most of the weight placed on your left foot. It also encourages a high swing plane, which is required in order to reach such a finish position. Golfers who tend to over rotate after impact should find this swing tip helpful. Otherwise, those with a low swing plane that they’d like to get rid of should try to finish their follow through with such a finish position. By setting an ideal finish position you are forced to perform a good swing that will allow you to reach that position. And by working to set the same position at the end of the follow through, you are promoting swing consistency which will lead to shot consistency. A high finish requires a steep strike angle which is only possible through a high swing plane. 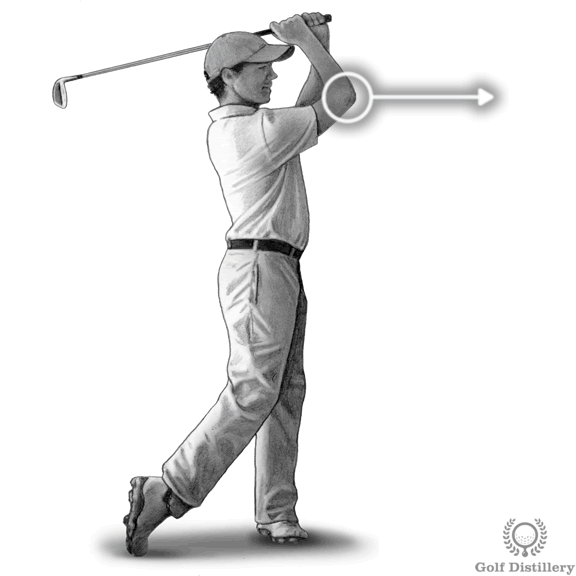 Finishing your swing with this position is recommended for all shots requiring a full follow through. 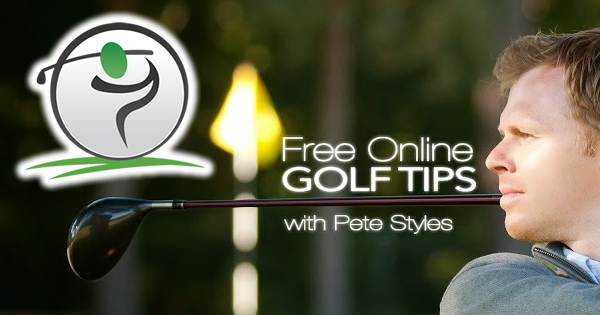 However, it is not suggested for certain types of shots, such as those where you want to shape the ball flight into that of a hook or a slice and which require your hands to position the club in a particular way after impact.